Manufacturer, Supplier, Distributor, Trader and Exporter of Pump casing casting in Coimbatore, Tamil Nadu, Karnataka, Andhra Pradesh, Kerala, India, North India. We majorly concentrate response from India, United States, Europe, and Saudi Arabia countries. We are pump casing casting suppliers comprehensively engaged in offering an extensive assembly of a vast range of Plunger Pump Castings. 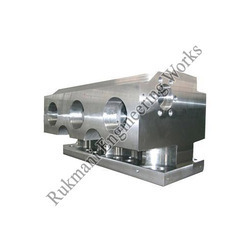 This range of plunger pump castings offered by us is developed utilizing stainless & alloy steel in complete adherence with the industry laid norms and standards. In addition to this, the offered range is available in number of forms such as simplex plunger, duplex plunger, triplex plunger, block and allied as per the diverse demands of respectable clients. We are the leading pump casting suppliers and manufacturers of Plunger Pump Castings in Tamilnadu at Coimbatore. Manufacturer, Supplier, Distributor, Trader and Exporter of Pump casting in Coimbatore, Tamil Nadu, Karnataka, Andhra Pradesh, Kerala, India, North India. We majorly concentrate response from India, United States, Europe, and Saudi Arabia countries. 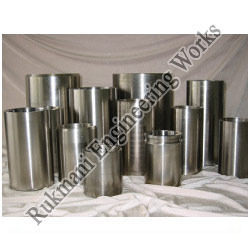 We are a renowned name, which is engaged in manufacturing, supplying and comprehensive range of Steel Pump Sleeves. This range is widely appreciated among the clients for its corrosion resistance and resistance to corrosive liquids, easy installation and durability. These products offered by us are appreciated among the clients, owing to their high mechanical strength, resistance against corrosion and superior thermal insulation. This range is applicable in marine installation, fire fighting application, irrigation, agriculture and allied. Looking for Pump Casing Castings ?